Whether partners find new opportunities, help existing customers migrate to next-generation Security solutions or activate dormant customers and help them transition to innovative Software models, we are committed all the way to increase their revenue potential and protect their margin following our architectural approach. And we count on you to inform them on how to use our incentive programs and be more profitable! The new Migration Incentive Program (MIP) offers 4% or 5% core base discount at deal level when refreshing legacy Cisco equipment or migrating from a competitor, stacked with other programs such as Hunting. On top of that MIP offers Technology Driven additional discounts, such as +8% Email Security, Web Security and Security Management Appliances SKU's and +10% on the FP4100 series. 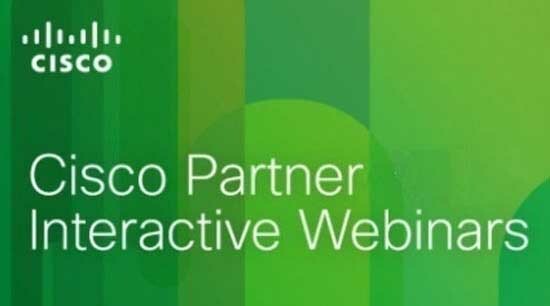 We are excited to announce new Cisco Rewards to stimulate partners to register deals through our programs and promotions! Discover our dynamic bundle offers and take advantage of discounted prices while selling effective security as an architecture. Look to the latest AMP for Endpoints & Cisco Umbrella bundle: get 12% off list price with AMP4E-UMB-BUN. The Value Incentive Program is a well-known Rebate program to our partners. See how lucrative VIP30 is and educate yourself with this short video. Partners specialized in Enterprise Networks and Security will also take advantage of a Migration Bonus and an Activation Bonus (when selling ISE and Stealthwatch with Cisco ONE).